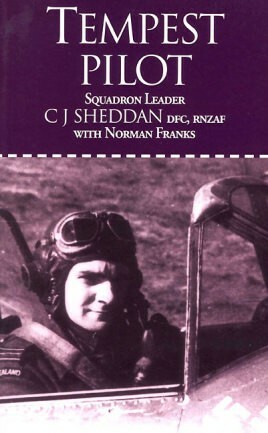 Jimmy Sheddan was one of the many New Zealanders who joined the RNZAF, then left his native land to come to England to fight the enemies of Great Britain and her Empire during World War Two. Through his recollections we can share some of the trials and wartime tribulations they faced. Yet we can read too of the enormous amount of fun these men had despite the dangers and sacrifices of war. It is this quality which endears his book to us as well as the achievements of the airmen with whom he served. During the war, Jim Sheddan rose from the rank of sergeant pilot to squadron leader with 486 Squadron, a considerable achievement. After starting with Spitfires, then going onto the Typhoon, Jim became an expert exponent of the Hawker Tempest, winning the DFC. In many ways his is a very special account as, amongst other things, he survived 19 hours in a dinghy off the French coast, a crash landing in a Tempest after a battle with a V1 flying bomb, and the advance across northern Europe in the final weeks of the war.